Our vision is to help people in 500 unreached language groups become followers of Christ in a growing community of faith by the year 2025. “God told me to go to the most unreached, to the darkest places,” Karim explained. That’s why I go far to start my groups. I find places that have no churches, with no one working there, and that’s where I start my groups. That is who God has called me to,” said Karim, one of our team’s guides in Africa. But there is hope for God’s WORD is changing people’s lives. 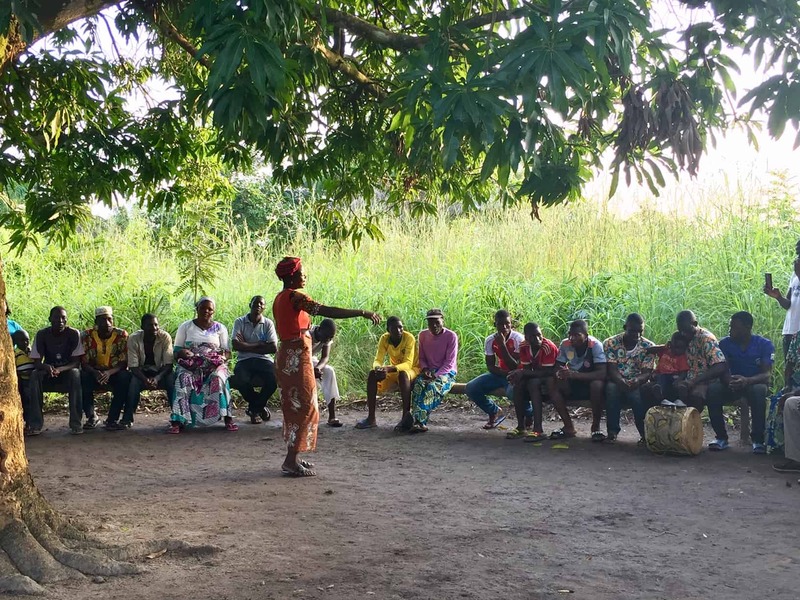 One person (among many) is a village chief whose life has been radically changed because of the story group in his village. He was so excited to have the story group there and welcomed the StoryRunners team with open arms. In another village, the chief proudly took the team to visit the land he was donating so that Karim could build the first church in their village. Everyone has been eagerly using storying, forming many new story groups, including second-generation groups and churches. 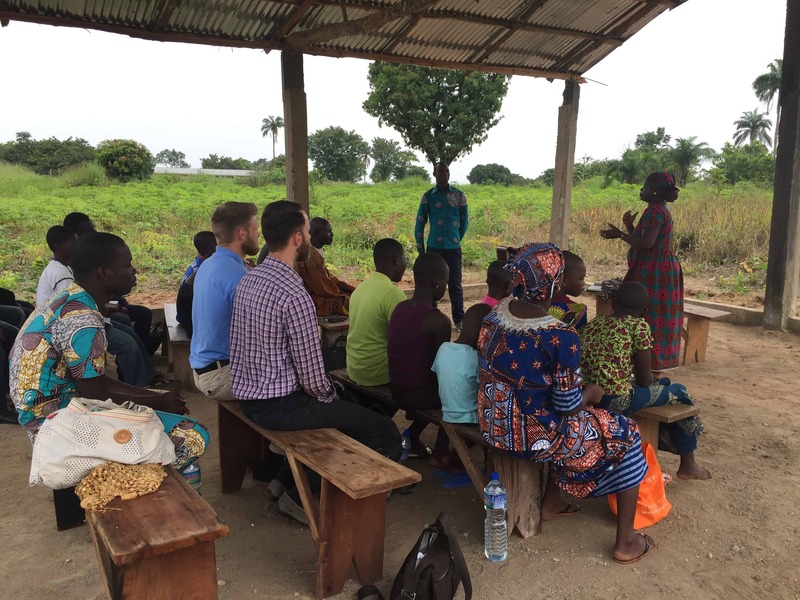 A team in another part of Africa had an equally fruitful time developing oral Bible stories and using them in outreaches. 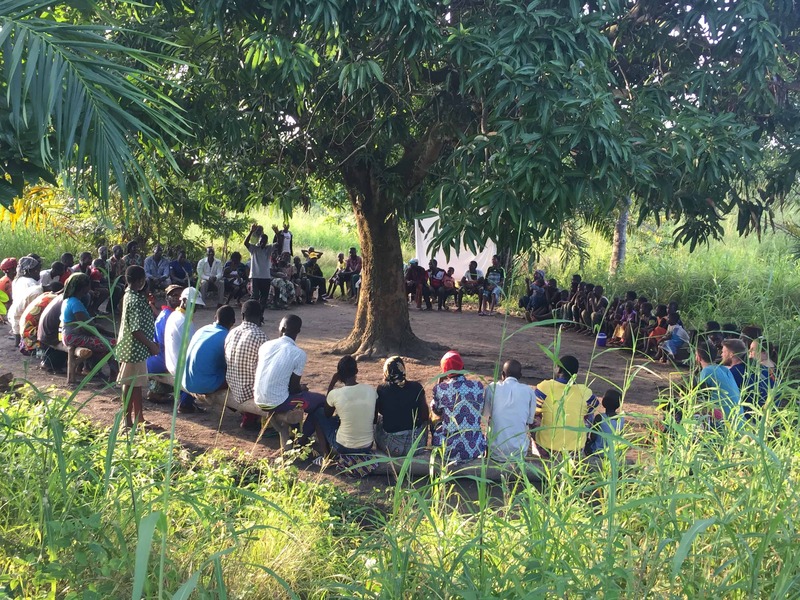 In just three weeks, more than 1,500 people heard the oral Bible stories, and around 56 story groups met in the two villages the team worked in. Hallelujah! The third team leader shared, “Seeing the simple method working in a relaxed and natural environment reminded me of the power of storytelling. It truly can be done by anyone, anywhere, any time for nearly any situation. And all you need to do is show up. When you do, so does God.” Indeed. Look out for more on how storying is changing the spiritual landscape of Africa in our next newsletter. The Lord saved Nancy 44 years ago and was burdened to share God’s Word and love to others. She first followed God’s call to Asia in 1979 to teach English to the Japanese. Later she went to the Philippines to plant churches. She later earned an MA from Wheaton Graduate School in Intercultural Studies and then returned to Japan as a church planter. Through twists and turns the Lord led her back to the Philippines to teach at Cru’s International Graduate School of Leadership as trainer of English as a Second Language (ESL) teachers. During this time, she met the love of her life – Al Alvarez. They married in 1999 and adopted Al’s niece and nephew in 2002. Nancy joined Cru in 2000 and has been serving with StoryRunners since 2010. 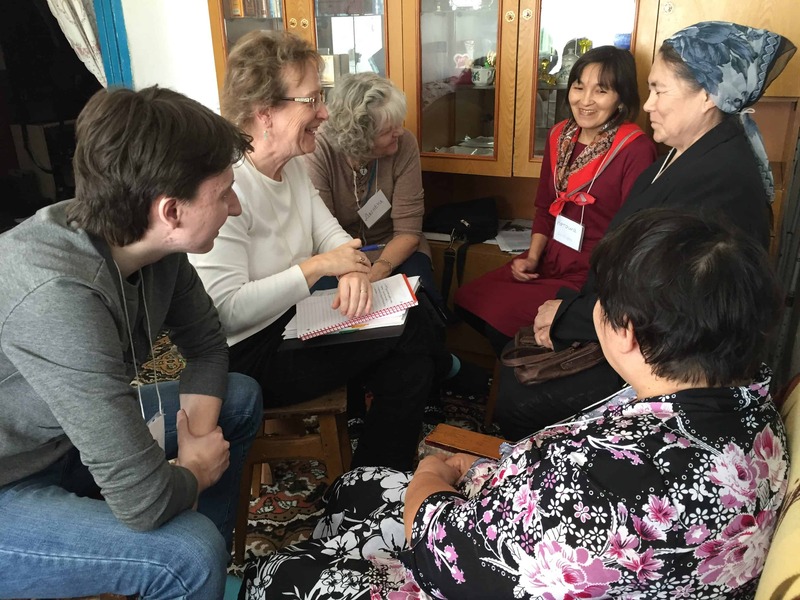 Nancy and Al travel throughout Asia to tell God’s stories in their heart language. Nancy is passionate about human trafficking victims including among the youth. She loves to make jewelry, read, cook, watch movies, cuddle with her dog Bingo and travel the world. She is also a writer and published her first novel – “The Butterfly Impact: An Unexpected Story of Courage and Transformation”. 1) For the marvelous work God is doing in Africa. 2) For the old and new oral Bible storying opportunities He has opened in the Philippines. 3) For the completed set of 42 oral Bible stories in the “E” language. 1) For God to continue to open doors in Africa; for the right partners in the region. 2) For God’s Word to bear fruit in the lives of those who heard the stories. 3) For protection and provision for our missionaries and partners in various parts of the world. WOULD YOU PARTNER WITH US?StoryRunners partners with people like you who fund our School of Storying projects and our day-to-day operations. If you are encouraged about how God is using StoryRunners, ask Him if He wants YOU to become a monthly giving partner or to make a special gift. You can make a difference for people who have never had God’s word in their own language. 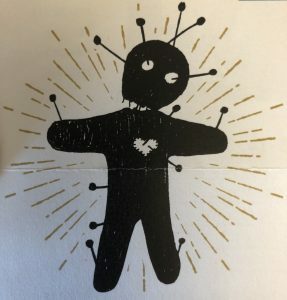 To give towards a specific School of Storying project, contact Pam Lilly. Click here for your tax-deductible contribution. Read the pdf version here StoryRunners October 2017 Newsletter. Spanning more than 265,000 acres and soaring up to 14,259 feet, Rocky Mountain National Park is a magnet for millions of tourists every year. Tourists and locals alike flock to the Park to bask in its natural beauty – multicolored wildflowers carpeting the park, meandering rivers, hiking trails snaking through subalpine forests, exotic animals and a plethora of recreational activities. Earlier this summer, a group of college students and StoryRunners staff members, climbed up the mountain to soak in something different. Something far more precious and lasting than the breathtaking panorama. They came to immerse themselves in God’s Word, in the greatest stories ever told. In doing so their hearts were pricked and their lives were changed. 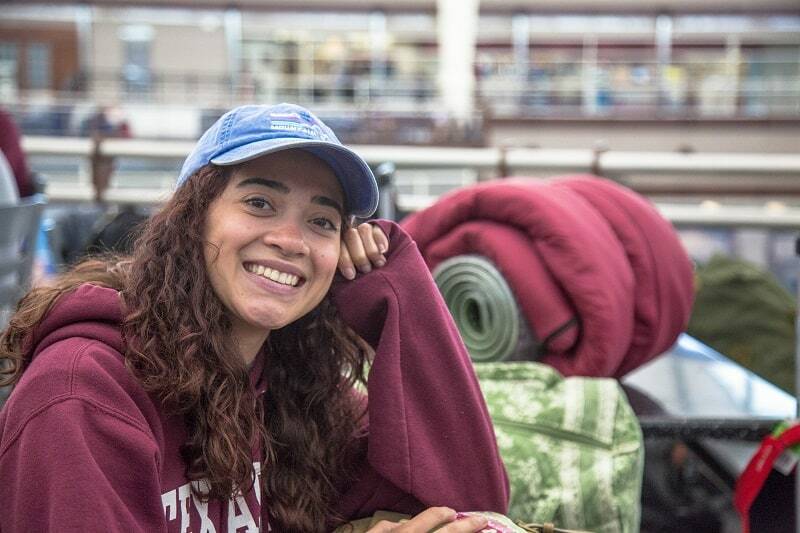 Read on to hear about the experience of StoryRunners intern Allyssa. 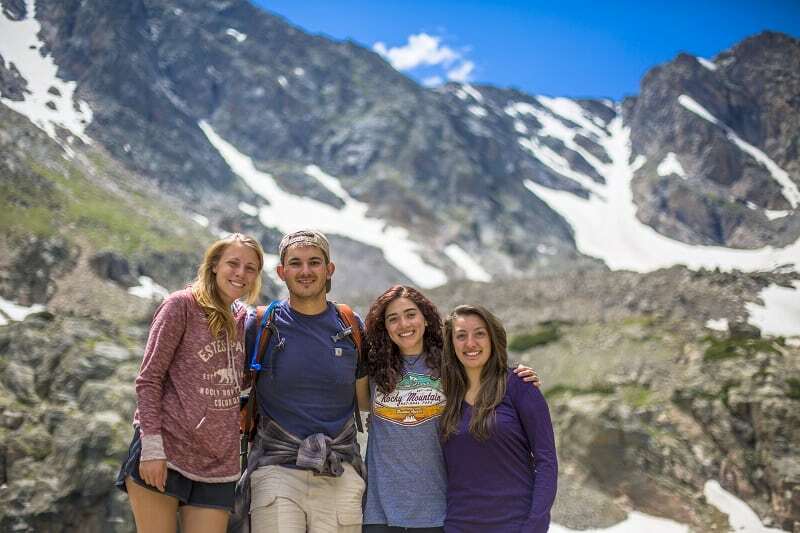 “On July 25 college students from campuses across the USA joined us in the Rocky Mountains on a 10-day summer mission trip packed with adventure, fun and amazing opportunities to fellowship with one another. Surrounded by spectacular sceneries, the students learned 12 oral Bible stories from the gospels and learned how to use each story to engage people in spiritual conversations. Each evening, in a story group around a campfire, we dug deep into a story and committed each to memory. God pierced our hearts with His Word, changing us profoundly. Every morning, after a night in a tent, or, in my case, a hammock under the stars, we took our stories to the hiking trails. 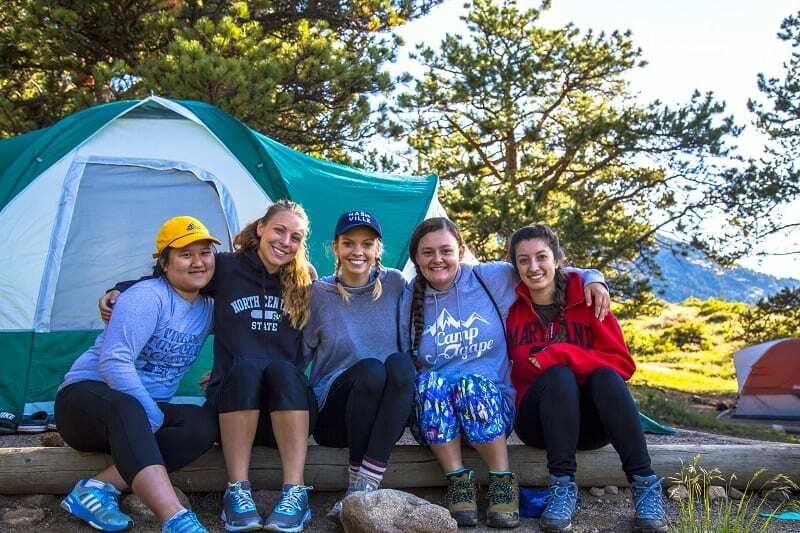 After the 10 incredible days up the mountain, with hearts on fire and rekindled passions, the students returned home, ready and committed to share the stories they learned. 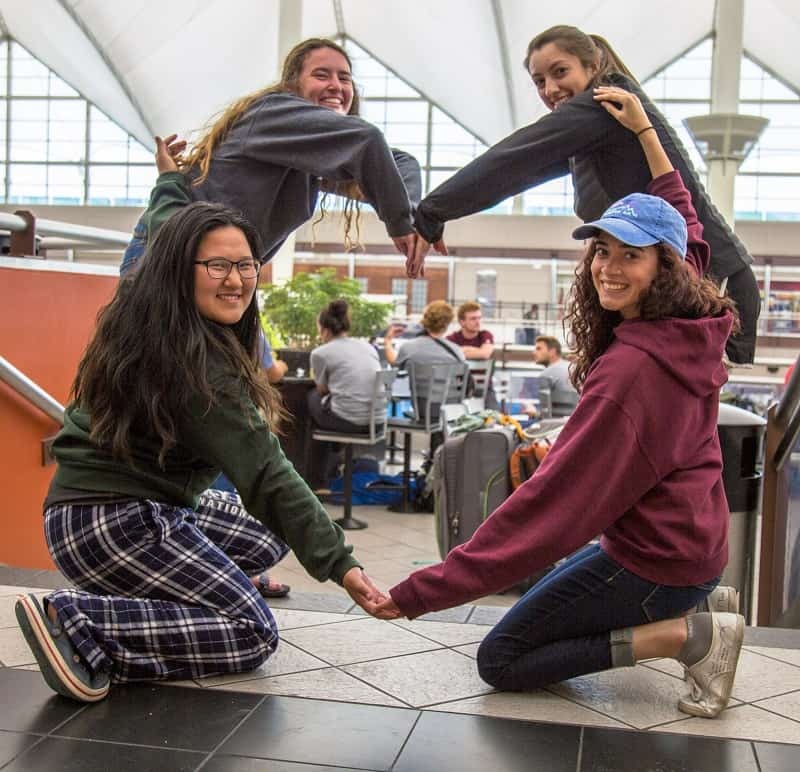 At least a half dozen of them have already led story groups back on their campuses, and others are planning to integrate storytelling into their outreaches on campus. Because of your support and partnership, these students have been impacted tremendously and they will continue to reach others in the coming years. If you’re 18-25, consider joining us next year. Check storyrunners.org, ‘Get Involved’ section. 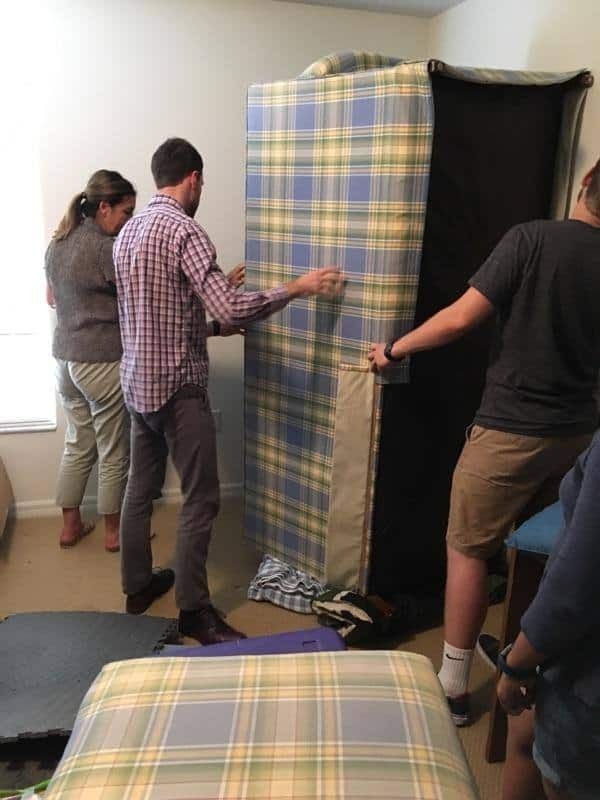 Some of our new staff members prepare a studio out of materials available in the house during their five-week training in Orlando. Meanwhile, back in Orlando, we welcomed six new staff members, volunteers and interns! After an intensive five-week training, they are ready to go to reach the ends of the earth to share our life-changing oral Bible stories. We are so blessed to have each one of them. Please lift them up in your prayers as some are still in the process of raising support. For sparing our lives, that our homes and the Cru office suffered minimal damage during hurricane Irma. For the 561 people on the trails who heard Bible stories. 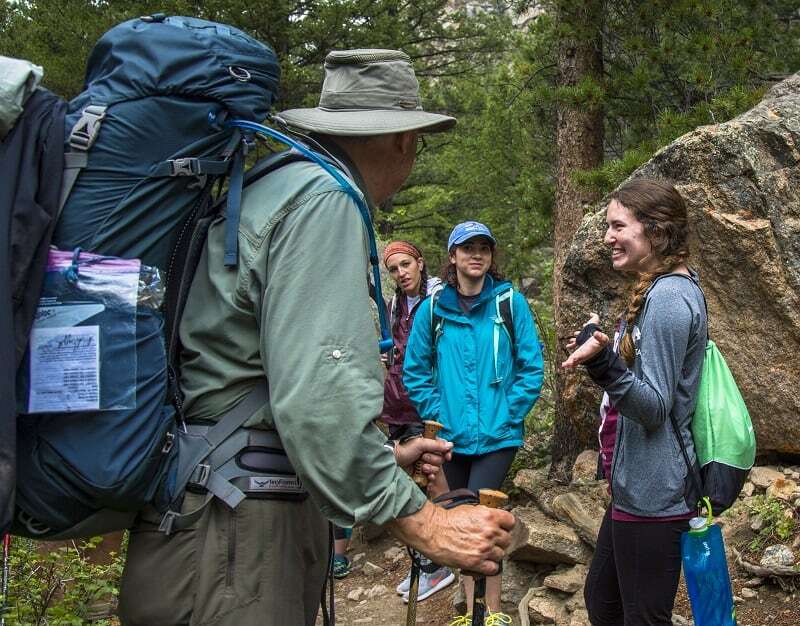 For the hikers with whom we engaged in spiritual conversations – that God would grow the seeds planted in their hearts. Click here to check the pdf version of the StoryRunners September 2017 Newsletter. a growing community of faith by the year 2025. “Every morning and afernoon session began with worship. Dancing is an integral part of worship, and everybody has to dance. I’ve never experienced anything like it. The beat, the style and rhythm are so diﬀerent, and ofen there is a lead singer with the crowd cheerfully responding with a chorus,” reported Mark Steinbach, StoryRunners Director. 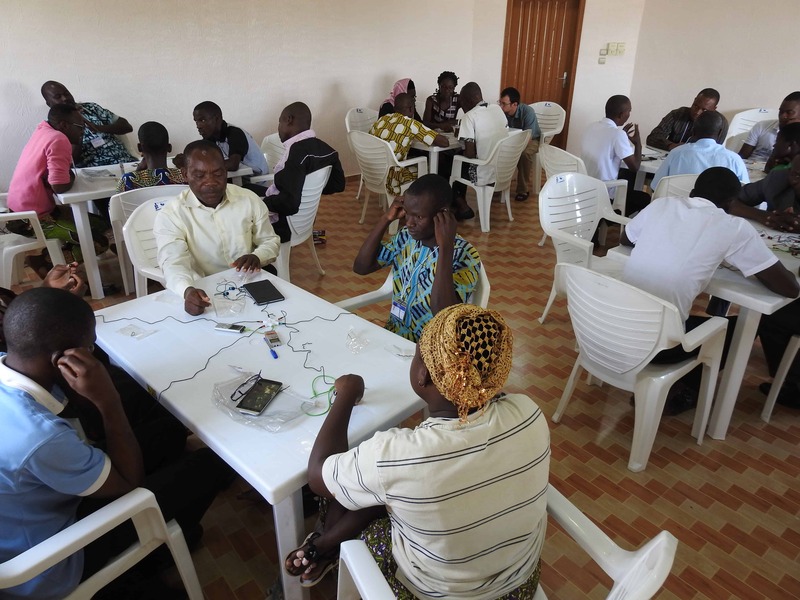 Mark was at the very frst West Africa Train the Trainer workshop held this summer. 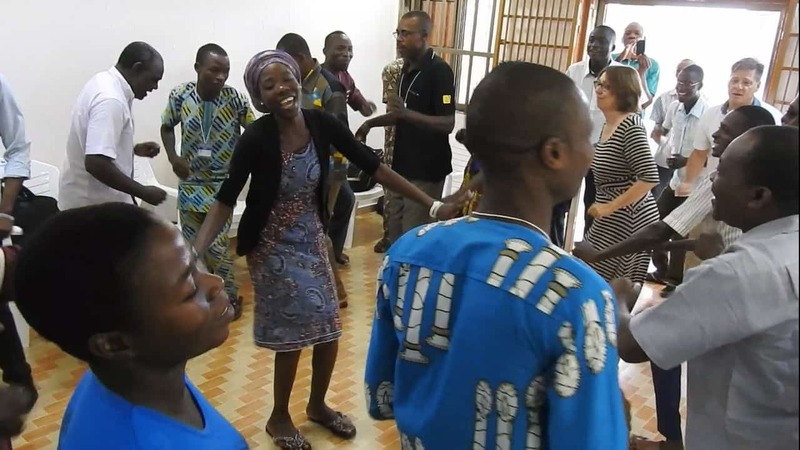 The workshop saw 41 leaders from churches, para-church groups and other ministry leaders gather in West Africa along with three members from StoryRunners in the US. With representatives from Burkina Faso, Benin, Cameroon, Chad and Togo, the event was the frst of its kind for StoryRunners and the African leaders. Its main purpose was to train the African leaders to become trainers for future School of Storying (SOS) projects. ‘ F ’ – speaking people how to learn and discuss stories in a Story Fellowship Group (SFG). For many of the participants, it was their first authentic cross-cultural experience. They had to work with a translator to reach a people who spoke a language diﬀerent from theirs. Another team also reached out to students at a nearby university to help plant a new Cru ministry in that campus. these African leaders. Please pray that they will faithfully share the gospel through these oral Bible stories. We are also very grateful for your prayers and partnership. We could not have done it without you. This summer, we joined forces again with E3, a partner mission agency based in Dallas, Texas. We sent one of our team leaders to revisit the *Haka people, an unengaged and unreached people group who live in a restricted country in Central Asia. Afer a challenging two-week session, we were delighted to see encouraging improvements among the participants. When Maria, one of the participants, told the story of Jesus calming the storm to her son, she experienced a ‘breakthrough’ moment. She told our team, “Suddenly, the story came alive to me for the frst time. 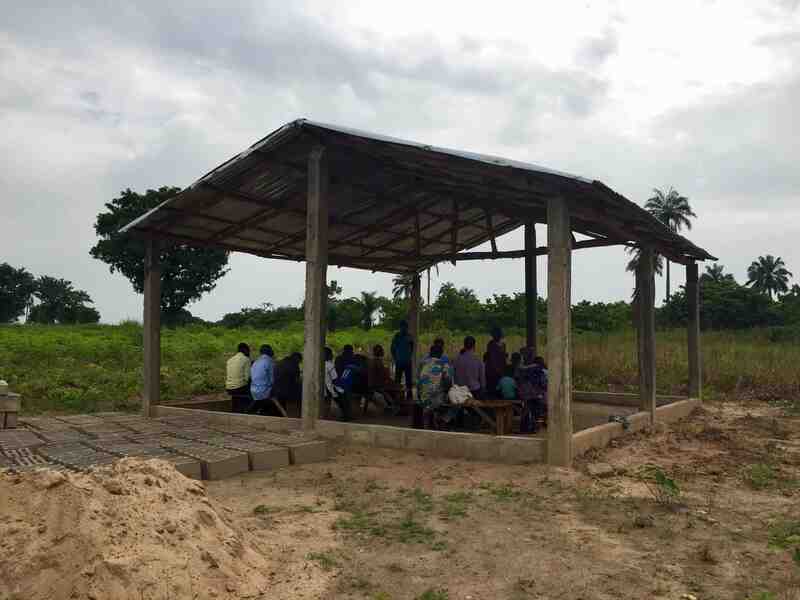 It was like I was sitting on the boat with the disciples, feeling the water on my face.” We are now planning to complete the project in early 2018 to fnish the story set and continue our training with E3 partners in Bible story development. We praise God for this glimmer of hope. Please also pray that the Haka participants will be steadfast in sharing the gospel among their people. participated at our Rocky Mountain Summer Mission. look out for more exciting stories on this in our next edition! commitment to using oral Bible stories, and for their partnership with us. Rocky Mountain National Park using Bible stories. Read next month’s newsletter to learn more. “The rain pelts the metal roof and creates a dull roar for the background music of our lunch. But the cacophony inside is much louder, composed of voices in fve diﬀerent languages, with songs of various genres playing from phones for good measure. One man stands up from the table as he shouts and points. No, he’s not mad—it’s just another lively discussion over lunch between the participants. I looked around at the 30 or so people gathered together for this School of Storying—men and women, young and old, pastors and laymen, Francophones and Anglophones—and I can’t help but think that only God could assemble this particular group of people for his work. It’s a little taste of heaven to be able to worship together with seven diﬀerent tongues, tribes, and nations represented, all of us united in Christ to praise our glorious God,” writes Darren, leader of Team *Ewok. Matt captivates the crowd with his story. Darren and his team recently went to Africa to complete the second part of the 42 oral Bible stories they were developing in the Ewok language. At least 30 people participated, 9 of whom were also present in the frst part of the training in March. That in itself is incredible as former participants are not always able to attend the second session for various reasons. Everyone proved to be enthusiastic participants and turned out to be amazing storytellers. 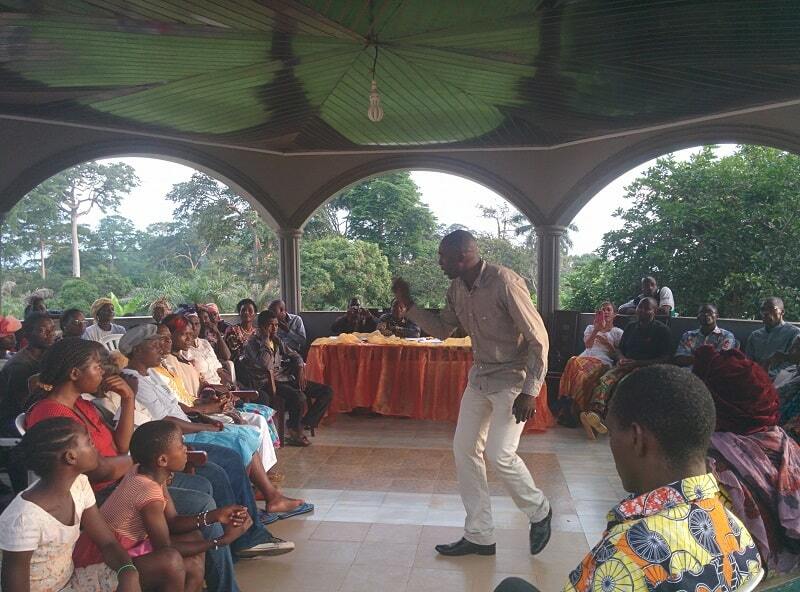 Many of the returnees also had testimonies of how God was using the stories in their villages. Coming from various backgrounds and professions, the team worked tirelessly for three weeks to develop and complete the set of oral Bible stories. In the process, everyone has been impacted, with many stories of lives changed. Here are just a few of their testimonies. “Wow, there is much wisdom in this. We go so deep in the Bible stories—even more than in Bible college!” *Matt was one of our Ewok participants who came to a realization during story development time one day. One of the trainers had suggested a rewording of a question to get better responses from the guests who would soon test the stories. It seemed trivial at the time to the trainer, but had a profound impact on how this man would view Bible storying as a way to dive deep into the richness of God’s Word. “When I sing in French it is somehow not so deep. But when I sing in Ewok* I feel it with my whole soul!” *Chuck was an Ewok participant who also served as a translator, and he saw the signifcance of having songs in his mother tongue. This is why we focus on these particular languages, even though many people in this region can speak French or even English. Stories of Jesus in your heart language will touch your soul in ways other languages cannot! “Before my frst School of Storying I was a big pastor, always commanding people to do this and do that. That’s not how God made me. I didn’t know how to have fun with people. 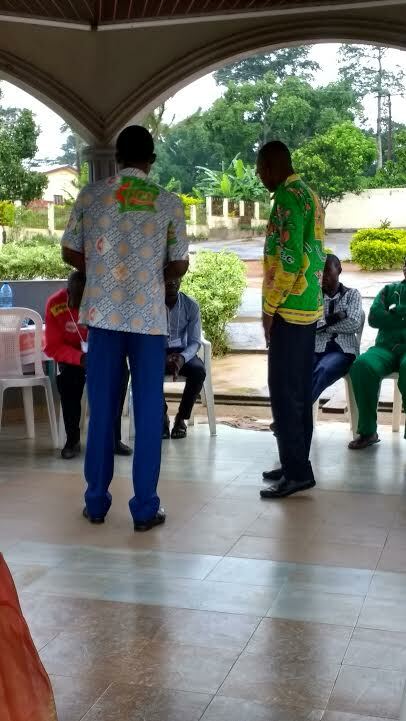 But now I can tell a story and just be free with them.” *Lew, from West Africa, served as one of our national trainers. Using Bible stories for ministry inside and outside the church has had a tremendous impact on him and those around him. He told about one little girl who had been struggling with reading and other literate learning methods in church and in school. But when Lew began using stories to teach, she quickly caught on and became one of the best storytellers in the church at only ten years old. And now she’s doing much better in school! 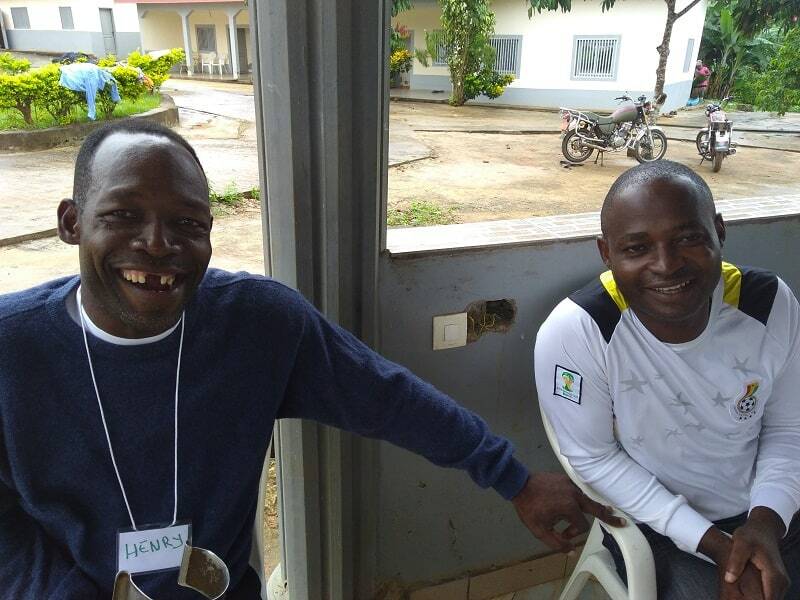 Ethan (right) smiles with another of our translators. One of our translators, *Ethan, had a similar experience with Bible storying. Because he spent all week at this training, including evenings, he didn’t have time to prepare a sermon to preach. So he shared the story of Jesus walking on water, and to his surprise, the church loved it! Everyone actively discussed the story and had it learned by the end of the service. Because of your partnership and prayers, people like Matt, Chuck, Lew and Ethan have learned to develop oral Bible stories that they can now use in their local ministries, Bible studies, evangelism and discipleship. Personally, they’ve also learned how to dig deeper into God’s Word. Please keep the Ewok language group in your prayers, and pray that they will be faithful in retelling God’s life-changing stories! 1) For the successful completion of phase 2 of the Ewok* School of Storying and the safe return of our trainers. 2) For the successful West Africa “Train the Trainers” conference with 30 ministry leaders from five countries on the African continent in attendance. their personal ministries, in evangelism eﬀorts, and in discipleship. 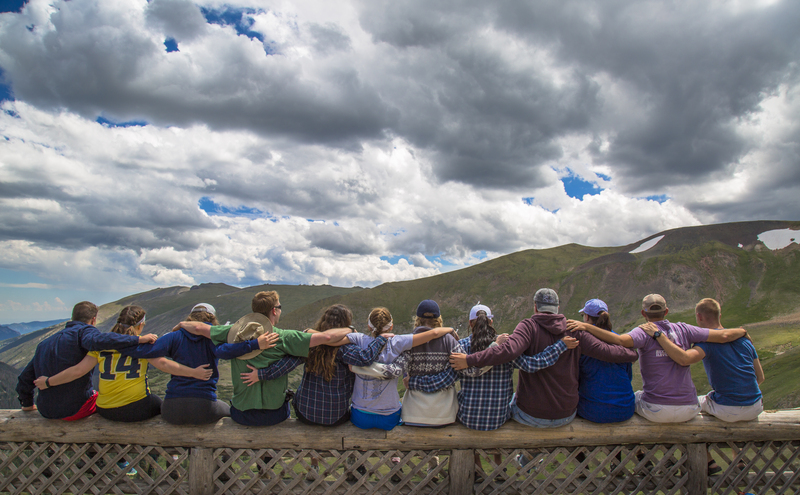 3) For the upcoming Rocky Mountain Summer Missions trip participants—for God’s provision and that they would all be encouraged and equipped to use oral Bible storying in their personal lives and outreach opportunities. In a survey we ran earlier this year, you mentioned that you would like to know more about the StoryRunners team—so here’s an opportunity to take a personal look at who we are! Mark has served on staff with Cru for the past 37 years. 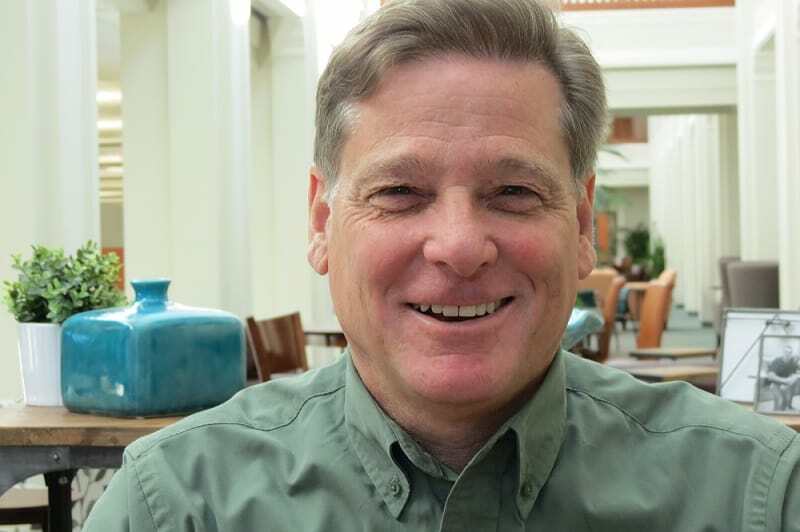 He came to Christ as a Penn State student through the inﬂuence of Cru, graduating in 1980. He later earned his MBA degree from Rollins College here in Orlando. Before his role with StoryRunners, Mark served with The Jesus Film Project. He was part of their executive management team for 13 years that included directing the studios for recording and post-production of JESUS (the most watched Christian film in history) and its associated films in over 850 languages. When not immersed in our business operations or overseeing various StoryRunners projects, Mark loves to read and catch up on current events. Mark also enjoys going to the beach with his family, yard work with his wife, and cooking. He’s become quite famous around the StoryRunners’ offices at Christmas time for making the best fruitcakes in town too! Mark has lived in Orlando since 1991 with his wife, Jenny, and their four sons. They are now enjoying life as empty-nesters. Click here for the pdf version of our June 2017 Newsletter. 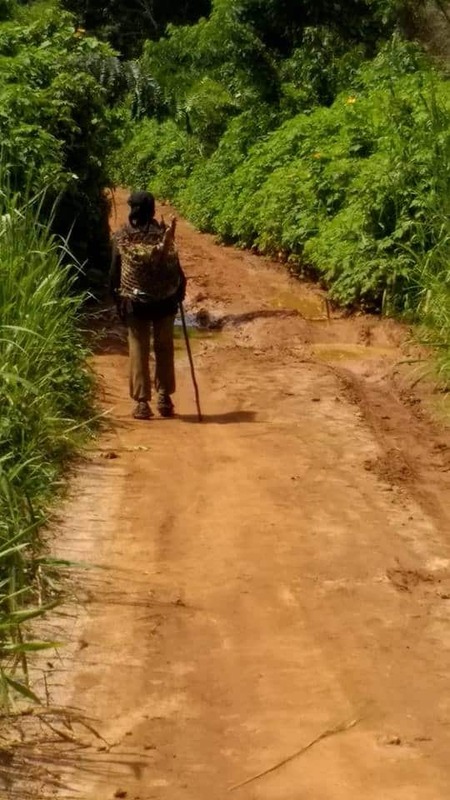 The road to the village where our team is currently carrying out a School of Storying. Looks like a serene place. “We have been in the village for two days now. It is in the jungle actually. And very beautiful,” reports one of our trainers. “We have 20+ participants which is amazing! They are a great bunch and good storytellers. Nine have returned from the first training and have many testimonies of how God is using the stories in their villages. It is so encouraging.” She continued. 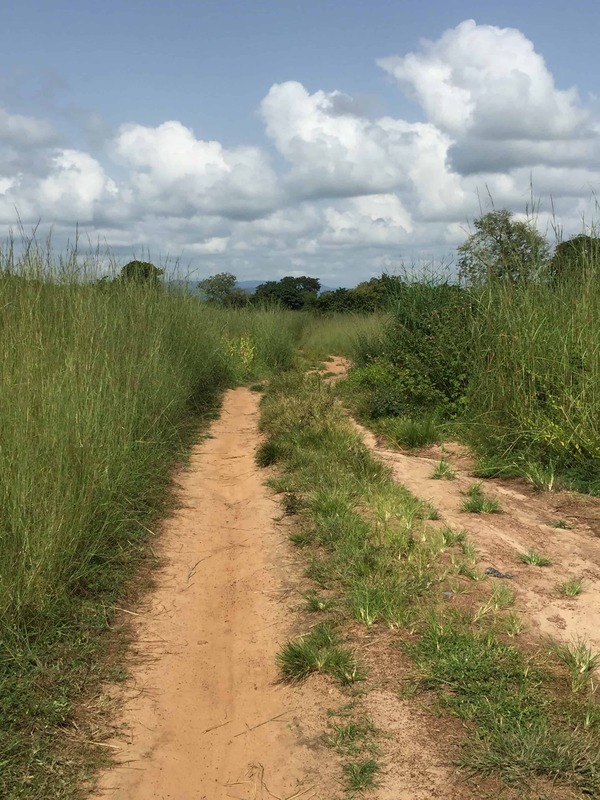 It sounds like our team is having a great time in Central Africa and our prayers for translators have already been answered. Not everything is well though as one of our trainers had been ill. She had fever, swollen tonsils, cough, etc. She did manage to grab some sort of a Z-pack and she seems to be on her way to recovery. Please continue to pray for her complete healing, especially for cough and nasal congestion. She badly needs her voice in order to help with the training. Participants at our School of Storying in the ‘E’ language. Thank you indeed. We covet your prayers. Please note that we are unable to reveal the names (and faces at times) of our trainers or disclose the name of the place for security reasons.